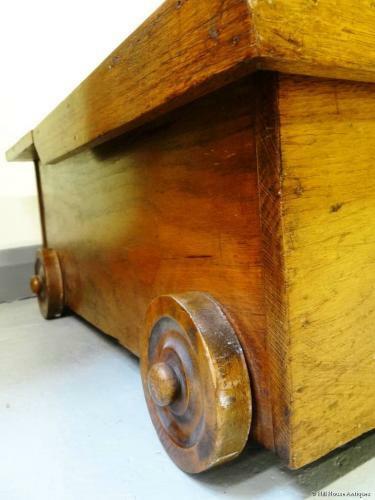 A good sturdy early 20thC oak under-bed storage or blanket box; very much in the Arts & Crafts style with its shaped iron carrying handle and lovely original wooden (almost toy like!) wheels. Approx 49" wide, 25" depth and 10.25" height overall.